Well... a tear could easily have increased in size since filming... or happened afterwards. The trooper in those scenes sure looks like a likely candidate. Is it me or does that lid have 6 teeth on one side and 5 on the other? 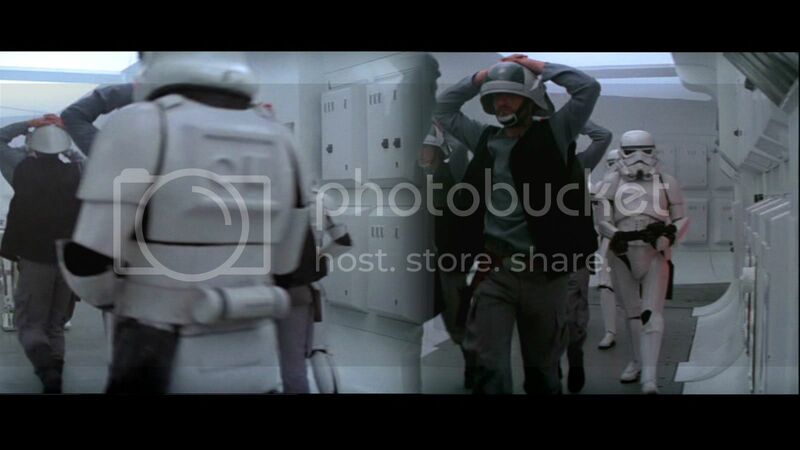 I just found a new shot that can be a possible match, it is the same trooper I posted before but is completely different shot. Actualy I combine two shots in one so we can see the front and the back of the trooper. Oh this is outstanding! Awesome that these are turning up!! !